Discover an insider’s perspective on FBI operations while gaining unparalleled experience with our Honors Internship and Visiting Scientist Programs, or begin a career directly after graduation with our Collegiate Hiring Initiative. The Honors Internship Program is a 10-week, paid internship for college undergraduate and graduate students. While exploring our exciting career options, students work side-by-side with FBI employees at our Washington, D.C. area headquarters locations, or in field offices around the country. Open to a wide range of academic areas, this internship offers experiences students can’t find anywhere else. The Honors Internship Program application for Summer 2017 opens August 26 and closes October 14, 2016. Click here for the Honors Internship Program application. The FBI’s Collegiate Hiring Initiative recruits graduating seniors or individuals who have graduated with an undergraduate, graduate, or PhD degree to begin their careers in an organization that offers opportunities like no other. Students must graduate or have graduated between December 2014 and September 2017. From supporting squads and operations to analyzing business processes and ensuring security, recent graduates help support a huge part of the FBI’s mission. The Collegiate Hiring Initiative also gives recent graduates the chance to explore and transition into the many exceptional career paths the FBI has to offer, as well as into other opportunities within the federal government and private sectors. Applications for the Collegiate Hiring Initiative open August 26 and close October 14, 2016. In honor of NEH’s 50th anniversary, they will be holding a major humanities conference, called “Human Times”, in Charlottesville, VA from September 14-17. The conference is free and aimed at the general public (including students). The conference is designed to be a forum showcasing the many ways in which the humanities address contemporary issues –war, race, the environment, technology, and many more. Please visit the website for an overview of all of the speakers and panels: http://humanties2016.com/speaker/. The final event will be a public summit held at Monticello on Saturday, September 17 — “Memory, Mourning, Mobilization: Legacies of Slavery and Freedom in America” — https://www.monticello.org/site/visit/events/public-summit-memory-mourning-mobilization-legacies-slavery-and-freedom-america Major speakers will be a powerful example of the humanities in action and also provide a preview of sorts for the opening of the new National Museum of African American History and Culture (which happens one week later). The White House Initiative on Historically Black Colleges and Universities has partnered with several of our Federal Agency Partners to present Back to School Week on September 19th-23rd 2016. This week-long celebration will bring federal agencies closer to HBCU students to highlight student opportunities in the government and shine a light on some of the work of the agencies. To reach as many HBCU students as possible, we will provide a mix of both in-person and virtual events. Be sure to read each event description as some require pre-registration. Please check back as we are constantly updating the list of events. Happy Back to School Time! The Department of Homeland Security (DHS) Science and Technology Directorate (S&T) Office of University Programs (OUP) is requesting applications from U.S. colleges and universities to lead a consortium of universities for a Center for Homeland Security Quantitative Analysis (CHSQA). The deadline for submission is November 1, 2016. To learn more, sign up for the informational webinar on August 23, 2016 at 3:00 P.M. EDT or visit go.usa.gov/x2gNG. DHS Science and Technology Directorate announced a $40 million opportunity for an institution to lead a new Center of Excellence focused on Criminal Investigations and Network Analysis (CINA). The deadline for submission of the application is September 1, 2016. Further information regarding the notice of funding opportunities for the Center for Criminal Investigations lead institution and partner institution are available at grants.gov. DHS announces $10 million grants for non-profits, universities to develop community-based countering violent extremism (CVE) programs. The deadline for submission of the application is September 6, 2016. 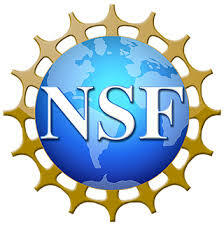 For more information and to apply, visit: Notice of Funding Opportunity (NOFO) at Grants.gov.